All patients living within the practice boundary are welcome to join our list. You will be asked to complete a registration form and a medical questionnaire. You can print these off from the pre-registration tab. Please note that patients are registered with the Practice, rather than an individual Doctor. Following recent NHS guidance all patients must provide the following identification - proof of address and photographic ID. The practice covers an area of 200 square miles and serves around 5,700 patients. The practice area is essentially the Northumberland county border with Cumbria to the south and west as far as Gilsland village, and by the boundaries of Thirlwell, Henshaw and Bardon Mill parish to the north. 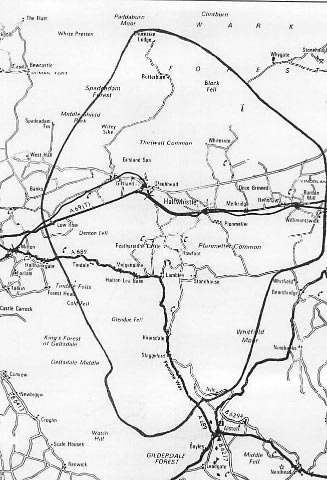 To the east is a line following the county boundary from Gilderdale eastwards to a point due south of Ridley Bridge road end, and then from there to Bardon Mill Parish Boundary to the north. Please note: If you move out of the practice boundary, we may have to ask you to register with another medical centre closer to your new address.